Friday Favorites: Are You Feeling Funky? If you can hang with a jam-band tune and love drill work, then this one’s for you! It’s time to hop on that saddle and ride your way to the finish line with these three playlists! Themes include horses and horse racing, speed/going fast, and winning. You can place your bets on these songs! Put on your fancy hats, grab your mint juleps (well, not really! ), and ride to this new profile by Suzy Stelmaszek. A short song with a lot of soul, perfect for turning inward and focusing on perfecting your pedal stroke. Let’s not kid ourselves—we all tend to form judgments about some of the riders in front of us despite our best efforts not to. But, when you take the time to find out the real reasons why someone is in your class and why they do what they do (such as NOT go as hard as you are asking), it can pay off in huge dividends and introduce you to some amazing and inspirational people. Don’t miss this story by Izabela about one of her riders! Friday Favorites: Bet You Can’t Resist This Song! Move over “Happy” by Pharrell—this warm-up song is going to become your riders’ favorite feel-good track. 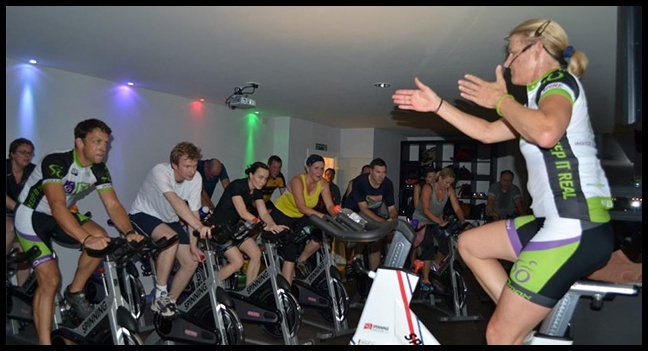 Many of us are indoor cycling instructors because of the opportunity it provides us to make a difference in people’s lives. Being a mentor is a way to multiply that impact, not just more broadly among students but also across time to future generations. Finding a mentor is a way to become a better instructor and perhaps even form a lifelong relationship. This new Quick Profile by Elan McAfee exercises the body AND the mind! Riders will take a tour of the periodic table and get an opportunity to answer some trivia questions along the way. Sorry scandium and vanadium..while we looked up every element, we just couldn’t find songs about you and a few of your friends! This track will have you conjuring up the New York City or London nightclub scene from the 1990s, when it topped the dance charts. It would be on my list of one of the top 20 best indoor cycling tracks of all time.